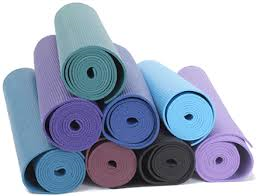 Consumer advocate groups have praised the decision noting that not only were the chunks of yoga mat a choking hazard, but they also contained almost twice the calories of the more expensive bath mat. They have expressed concern over the color dyes used in some bathmats as well as the hairy fibers, but close inspection of Mirror Mists mats passed the smell test. Choo Won Deese, the makers of the somewhat edible yoga mats could not be reached for comment. The opinions expressed by The Existential Baker do not necessarily reflect in the Mirror Mist, but he does want to point out that all of his products are 100% mat free.